BB Creams, CC Creams, DD Creams? we’ve got the lowdown and the round up! Are you wondering what the rage is about BB creams and how BB creams work? Also known as blemish balms and beauty balms, these creams have recently taken the beauty world (and India) by storm. So what is this amazing new product? A blemish balm is a tinted moisturizer with extra benefits. It contains SPF, disguises blemishes, and soothes and moisturizes skin—some versions even contain anti-aging properties! Depending on your needs, BB creams can replace foundation and moisturizer—depending on your skin type, you can wear them completely on their own! Essentially the ultimate all-in-one product, BB Creams offer strong sun protection, prevent pimples, cover imperfections, and contain anti-aging, skin soothing properties. They also prime the skin and prevent shine (tinted moisturizers never took off in Asia because no one wanted to look dewier in the humid climate). But before now, BB cream was only available in one shade, which made it unsuitable for the US market. Some Korean varieties even contained whitening agents! The most popular brands in Korea have been Missha and Dr. Jart+, and BB creams alone even have their own aisle in Asian pharmacies. The first BB Cream to be launched in India, the Maybelline Clear Glow BB Cream is something that every make up aficionado would have tried. It has SPF-21 to give you sun protection. It actively hydrates your skin and evens out skin tone. The BB Cream claims to resist sweat and sebum and keeps you fresh through the day. It comes in 3 shades and is priced at Rs. 199 for 30 ml. 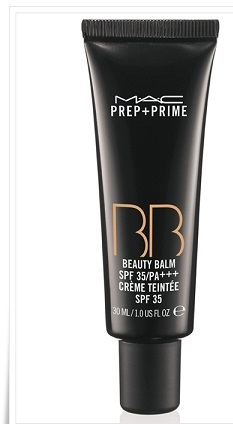 It has everything an ideal BB cream should have and comes in variety of shades with high SPF. This one in particular is a but pricy, as are all MAC products. It is priced at Rs 2100 in India. The cream promises instantly perfect skin with 8 hour moisturization, even skin tone, zero imperfection and sun protection with SPF 24. The cream comes in 2 size variants – 18 ml, priced at 99 and 40 ml priced at Rs. 199. The only downside is that it comes in just one shade which may not suit all skin tones. The Revlon PhotoReady Beauty Balm is a light weight multi benefit cream that hydrates like a moisturizer, smooths like a primer, blurs flaws like a concealer and covers like a foundation. It comes with SPF 30 that gives you adequate sun protection. The BB Cream brightens your complexion and keeps you glowing through the day. It comes in 3 shades and is priced at Rs. 550 for 30 ml. The Colorbar Perfect Match BB Cream is made to bring make up and skin care together in a perfect match. It has a lightweight and non-greasy formula with potent botanicals that boost your skin’s luminosity. The aloe vera in it acts as a moisturizer and natural sunscreen. The Colorbar BB Cream diminishes the signs of ageing too. It is paraben free and suitable for all skin types. It comes in 3 shades and is priced at Rs. 550 for 29 gm. The L’Oreal Paris True Match BB Cream is a skin idealizing BB Cream which retexturizes the skin’s smoothness, brightens the skin tone and perfects the skin from within. It neutralizes blemishes and its SPF 35 gives you the necessary sun protection. It comes in 3 shades and is priced at Rs. 550 for 30 ml. So is BB cream right for you? If you want coverage that not only brightens, soothes, moisturizers, primes, and provides UV protection and anti-aging properties, then be sure to add BB cream to your beauty kits.